The Chamber eNews is disseminated to the business community every Friday and carries Chamber and Member events & news. 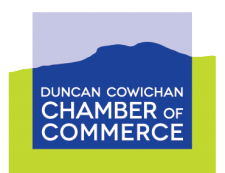 Members are invited to submit their news to chamber@duncancc.bc.ca by noon on Thurs. for the Fri. eNews. Fifty word maximum, please be sure to include detais - date, time, location, price etc. We include links, contact information & social media. Items may be edited for brevity & clarity. Images should be suitable for thumbnail size. Items run for 3 - 4 weeks. Both members and the public are invited to submit community events for posting on the Community Events Calendar.